Wikipedia suffers from systemic biases due to the shared social, cultural, and geographic characteristics of a majority of contributors. This results in the underrepresentation of subjects from outside the English-speaking world, from places where people may not have access to the Internet, where people have less time to edit Wikipedia, or where the locally produced sources of information are not easily accessible over the Internet. An African artistic technique, work of art, or artist is simply less likely to exist than similar European or American subjects. One of the reasons we like the Wikipedia Visiting Scholars program so much is its ability to focus on a particular subject area in need of improvement by forming a relationship between a Wikipedian and institution with shared interests. I’m pleased to announce the most recent Visiting Scholar, hosted by the Smithsonian Libraries and the National Museum of African Art. The National Museum of African Art was founded in 1964 by Warren M. Robbins as a private museum. In 1979, after a request by Robbins to Congress, ownership of the museum was transferred to the Smithsonian. Its mission is to “foster the discovery and appreciation of the visual arts of Africa, the cradle of humanity.” Working with Czar at the Smithsonian are Diane Shaw, Special Collections Cataloger, and Janet Stanley, Librarian at the museum’s Warren M. Robbins Library. Smithsonian Libraries has participated in the GLAM-Wiki initiative for several years, and we’re excited they’ve decided to expand that involvement to the Visiting Scholars program. 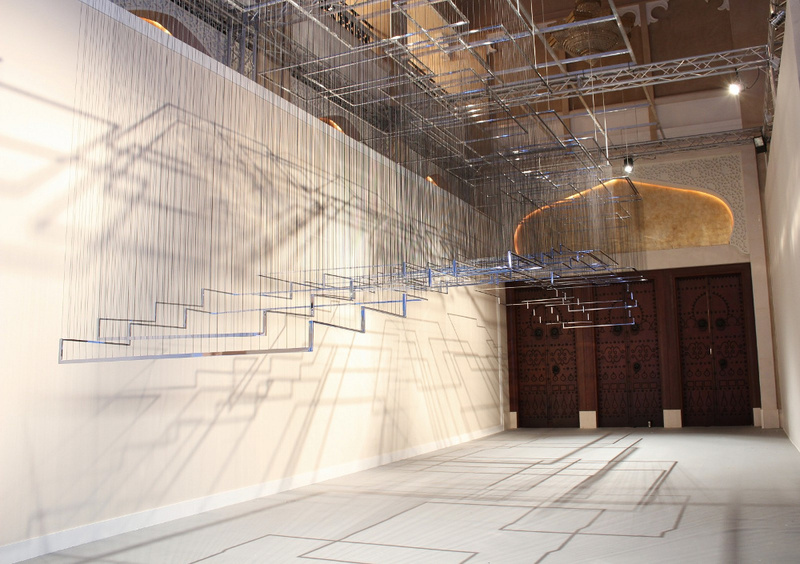 Image: Nadia Kaabi-Linke Flying Carpets.jpg, photo by Timo Kaabi-Linke, CC BY-SA 4.0, via Wikimedia Commons. To Czar, “the chief obstacle to a high-quality, free encyclopedia is access to reliable, secondary sources.” He quickly began preparing drafts of articles on relevant topics upon gaining access to Smithsonian resources, improving them to the point that several are already into the Good Article Nominations process, and one has already been promoted: Nadia Kaabi-Linke, a Tunis-born, Berlin-based visual artist. To help with some of the harder topics, he said he’s looking forward to working with Diane and Janet in building bibliographies. If you’re an educational institution with resources to share with a Wikipedian, or if you’re a Wikipedian who would like to partner with an educational institution, read more on the Visiting Scholars section of our website.